We will exhibit a 3-axis vibration intelligent parts feeding system which can supply various kinds of parts including complicated shapes and delicate materials conforming to all parts shapes. We collaborate with robots to solve your problems and suggest more efficient applications. 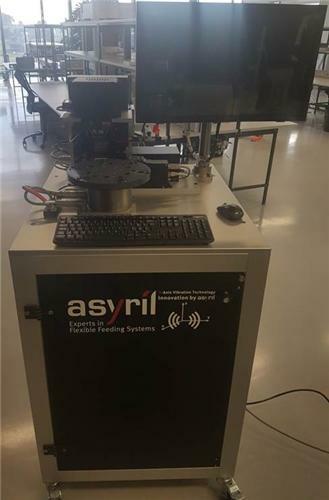 Integrated Flexible Feeding Module for Parts up to 5 mm.System includes Asycube 50 feeding system, visual part detection system and precision robot manipulator.Compatible with all part geometries : 99% of parts can be fed on our feeders - including complex geometries and delicate materials. 99% of parts can be fed on our feeders - including complex geometries and delicate materials.Extremely gentle part handling due to Asyrils innovative.3-axis vibration technology : parts can be moved in all directions, including the optimal choice of flipping amplitude for each part. Minimal abrasion as parts do not need to be recirculated. Platform purge possible. 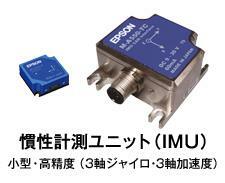 It is a collaboration between M - 1 iA(Parallel link robot made by FANUC) and Asycube 80. I will demonstrate the pick & place by identifying the front and back of the small workpiece. 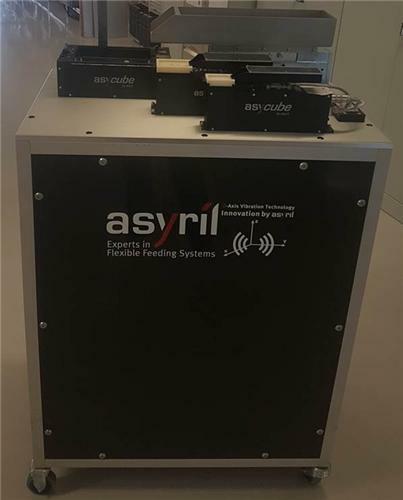 It is a collaboration between RV-4(Mitsubishi Electric vertical articulated robot) and Asycube 240. I will demonstrate the automatic screw tightening process with the robot. 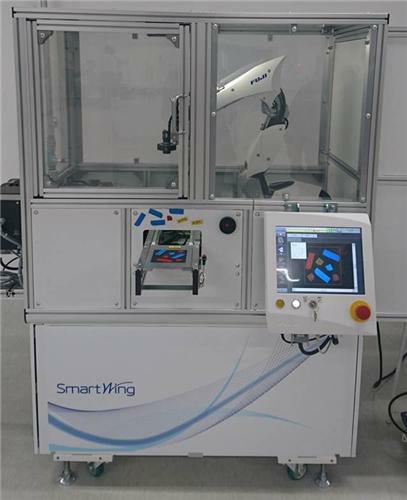 It is a collaboration between Smart-wing(FUJI made robot) and Asycube 240. 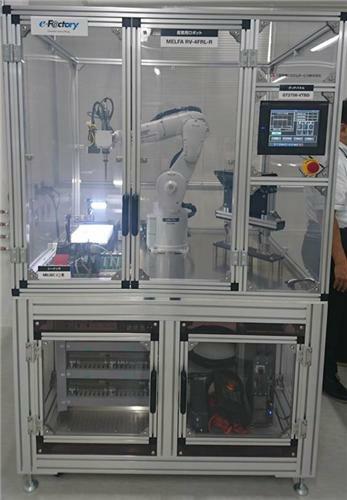 It is a demonstration of parts supply and robot assembly. It is an unprecedented predictive maintenance system by combination of 6 axis sensor and deterioration diagnostic software.